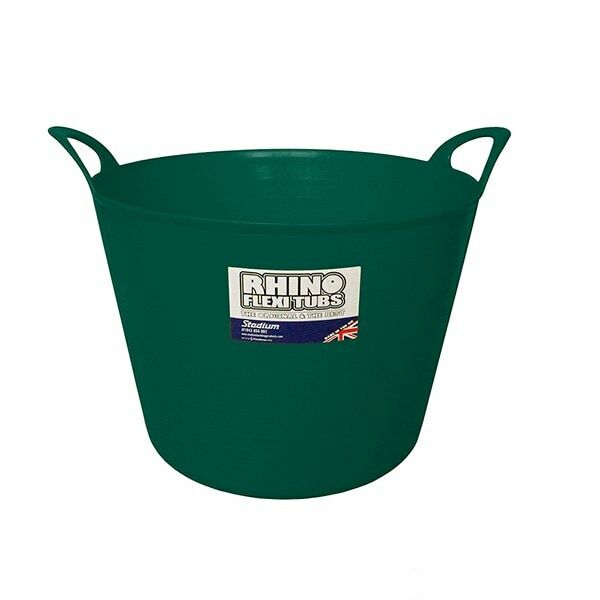 Buy Original flexi trug green: <br><ul><strong><li>Large capacity - holds 40 litres</li><li>UV sunlight proof</li><li>Lightweight, flexible and sturdy</li></strong></ul><br>These cheerful, versatile trugs are great for a multitude of uses around the garden. They come in handy for mixing, harvesting, pouring, scooping, carrying and more. Even the professionals love a trug!<br><br>Great for getting organised, they come in a variety of colours so you can use a different trug for each job. They're so bright you'll never have to worry about losing one.<br><br>The trugs are tough and sturdy, yet lightweight and flexible, with built-in handles making them easy to lift and carry around the garden. They're also UV-proof so they'll stay strong and colourful for longer.<br><br>Measurements:<br>H31cm x W32cm (base) / W43cm (top)<br><br>Please note: the size of this product is approximate and should not be used where accurate measurements are required. These cheerful, versatile trugs are great for a multitude of uses around the garden. They come in handy for mixing, harvesting, pouring, scooping, carrying and more. Even the professionals love a trug! Great for getting organised, they come in a variety of colours so you can use a different trug for each job. They're so bright you'll never have to worry about losing one. The trugs are tough and sturdy, yet lightweight and flexible, with built-in handles making them easy to lift and carry around the garden. They're also UV-proof so they'll stay strong and colourful for longer. Please note: the size of this product is approximate and should not be used where accurate measurements are required.